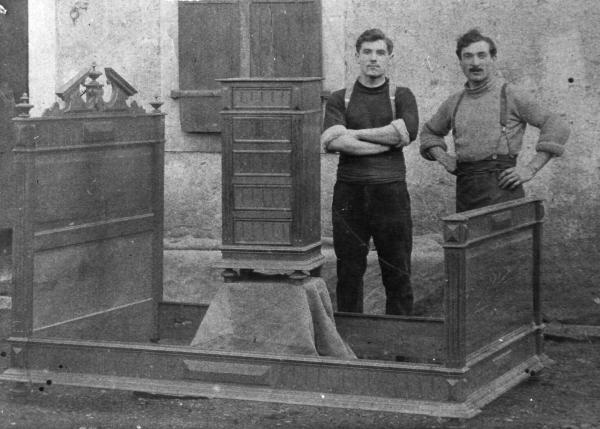 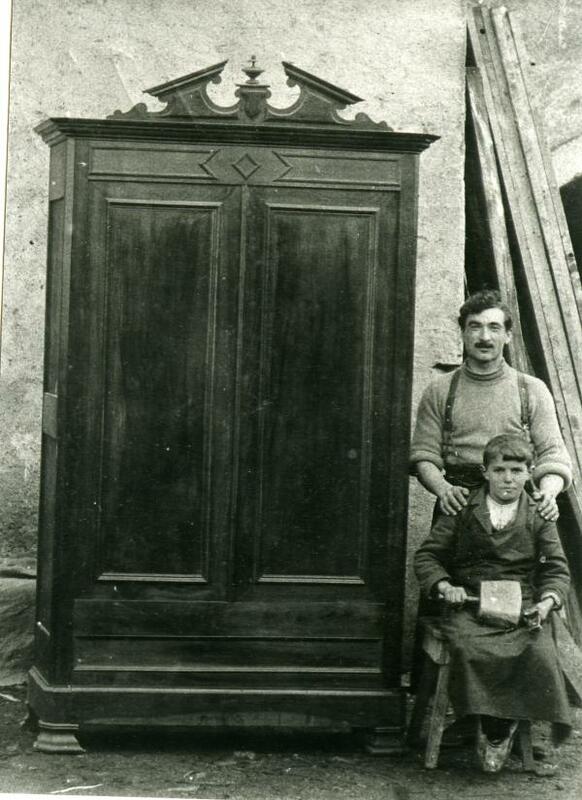 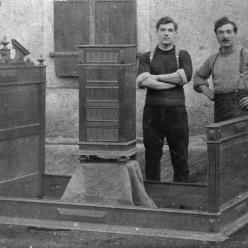 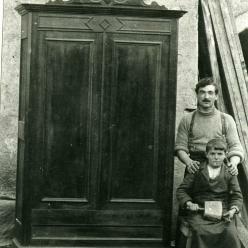 Since 1870, Les Meubles de Navarre have been a living family tradition. 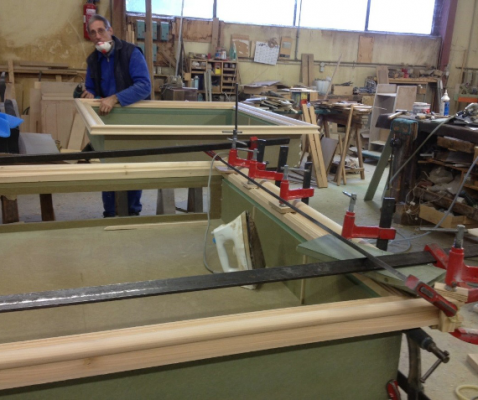 Etienne Labarère, cabinetmaker starts with much passion his activity in the family barn. 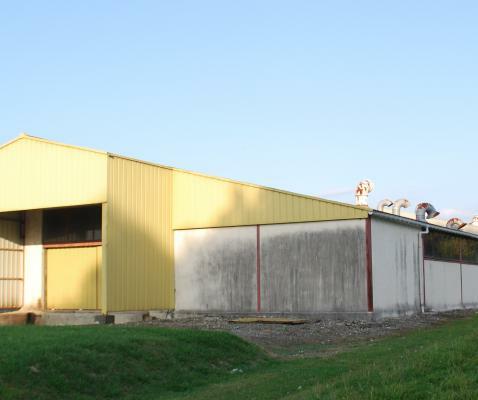 Philippe updates the equipment and develops the company by employing specialized workers (companions) known for their work quality and knowledge. 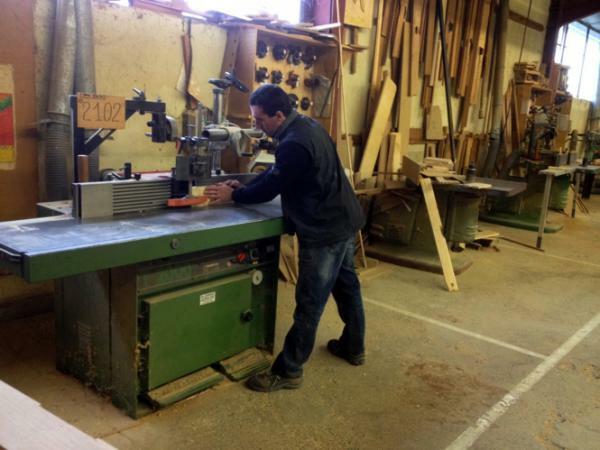 Jean increases the activity and builds a new workshop right by the family barn. 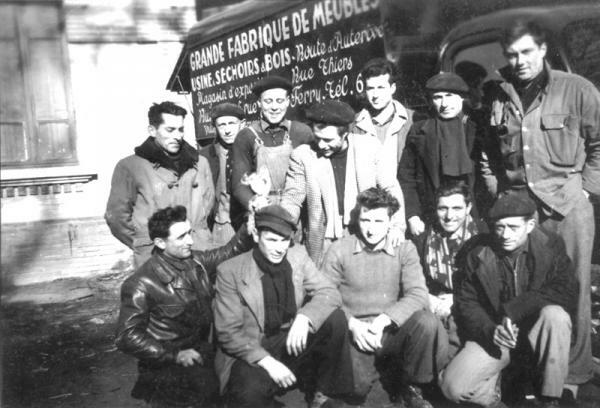 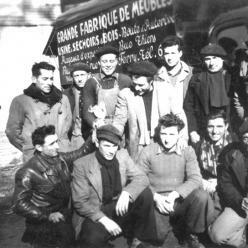 Philippe Auguste Labarere in 1950 (on the bottom in the center), he is 23 years old and improves his skills at Revel, France. 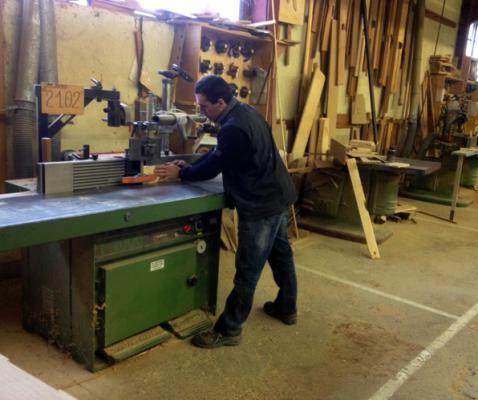 After a couple years of companionship, Philippe Auguste starts working in the family company. 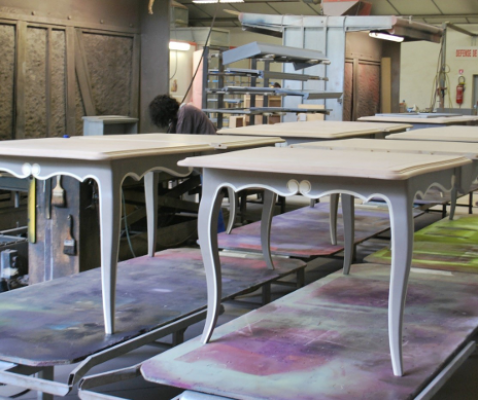 He specializes in high quality furniture made of solid cherry wood and with a style of Louis XV inspiration. 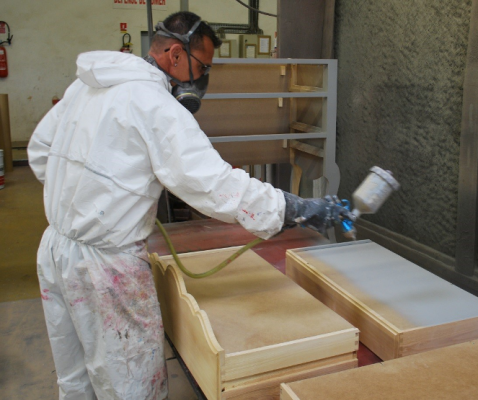 In the 80's, his activity is spread nationwide and he has now 100 employees with him. 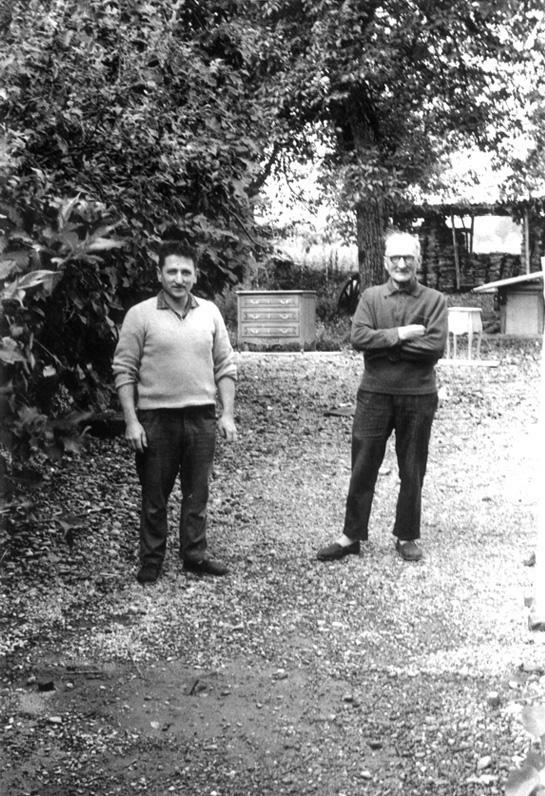 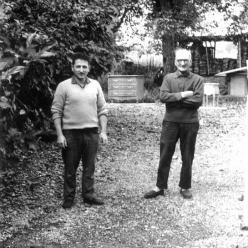 In 1967 outside the family workshop stand Philippe Auguste, 40 years old, and his father. 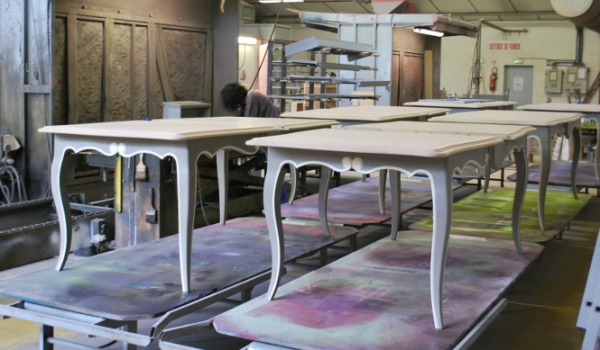 In the back, the stock of raw wood and some Louis XV inspired furniture from the fabrication. 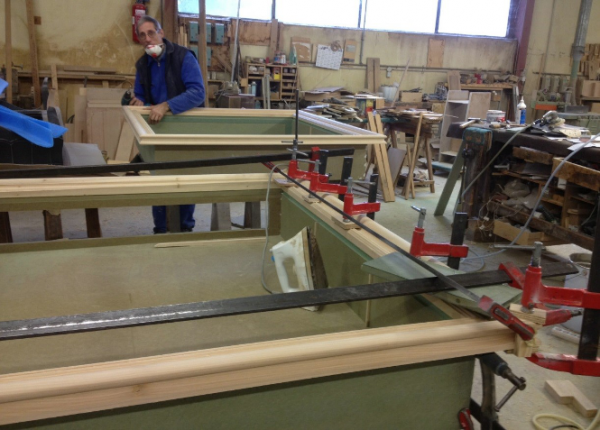 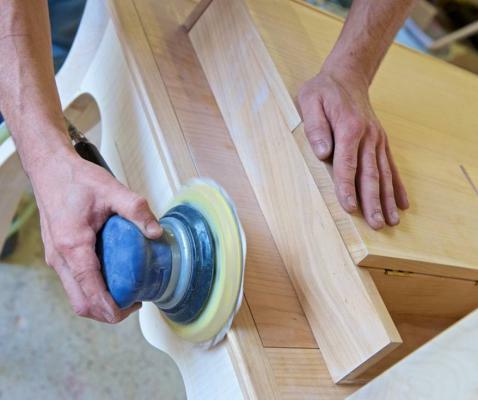 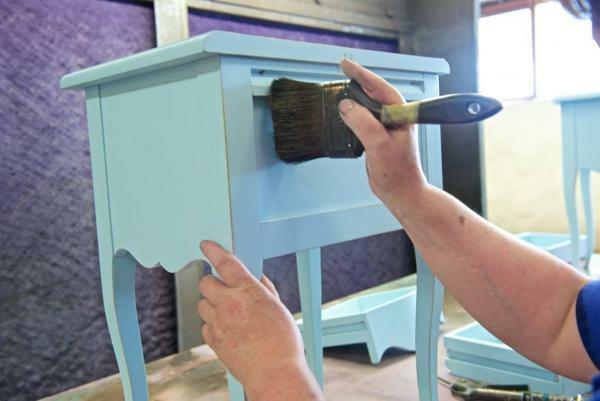 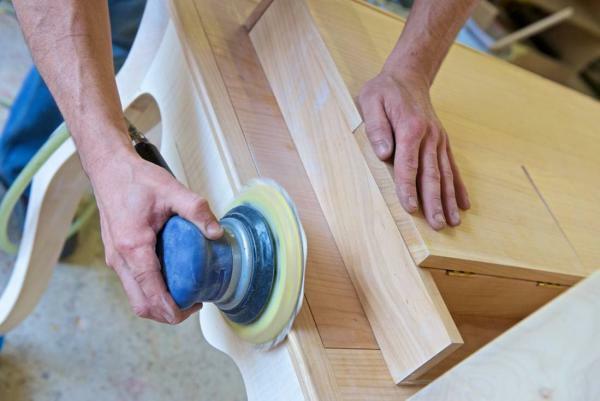 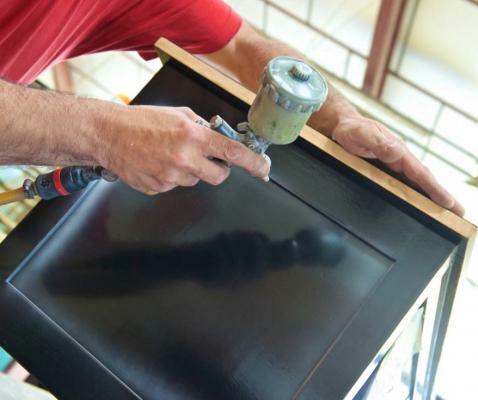 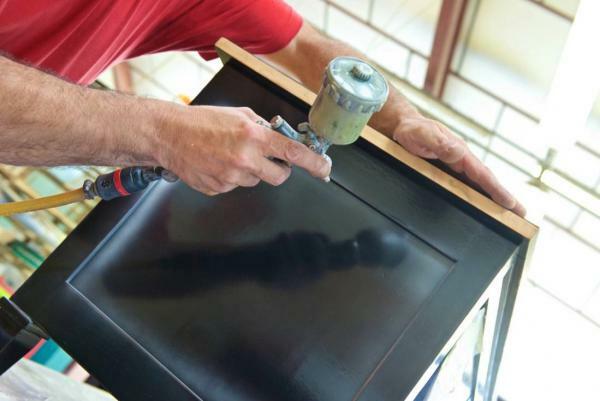 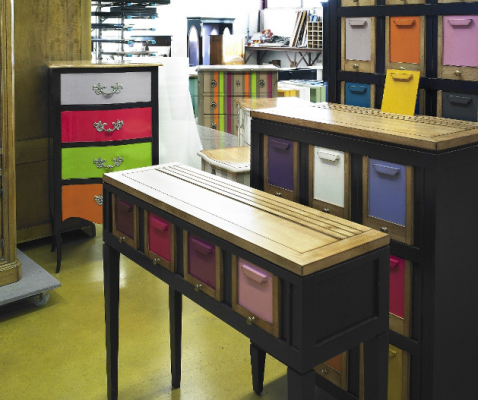 Jean Claude continues the cabinetmaker tradition and the knowledge of the family. He modernizes the collections lines by introducing new colors and patinas. 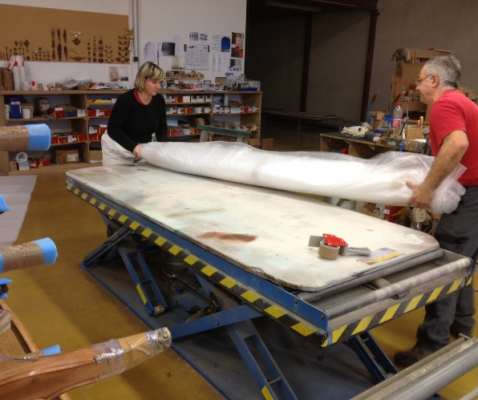 The strength of the company Labarere : collaborations with designers that brings new inspirations. 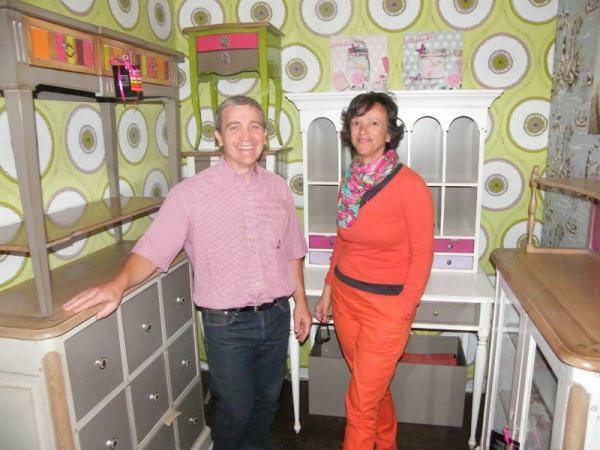 Muriel et Jean Claude Labarere in the exhibition truck in 2012. 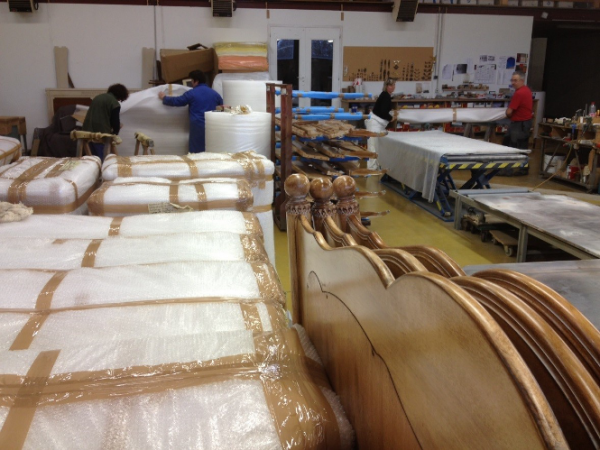 Our factory chief, Olivier is here working on wood with a wood shaper. 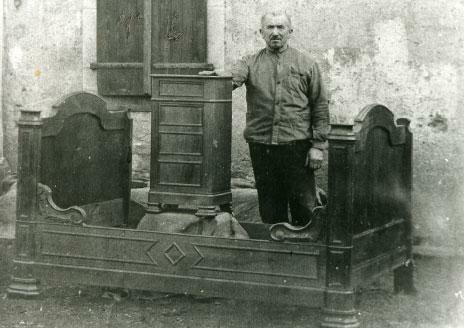 Michel is then assembling furniture. Veronique, hides parts and prepares thoroughly the coloring. 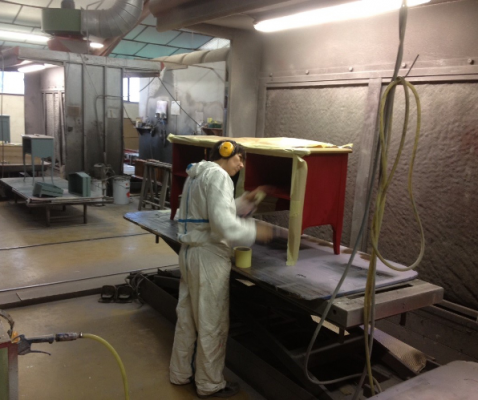 Beatrice, is applying patina with the painting gun. 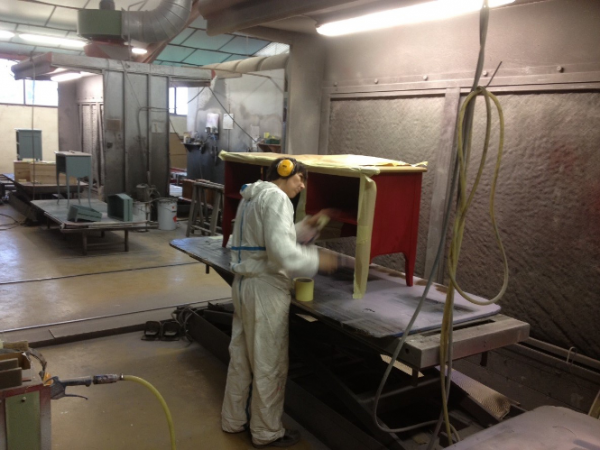 Joseph, applying color as well. 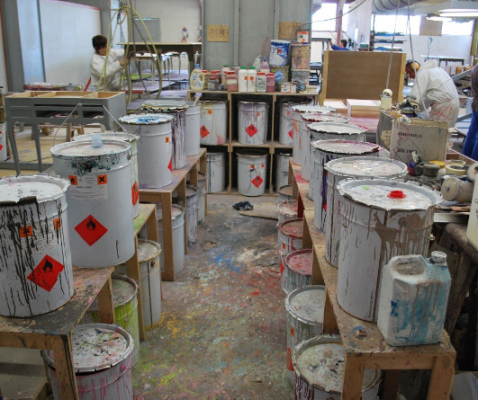 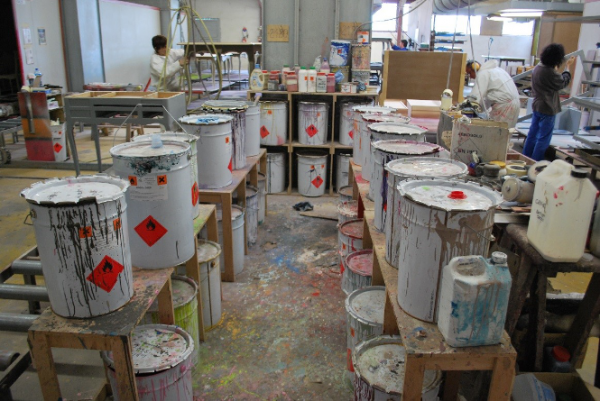 A general view of the factory, with tables in the process. 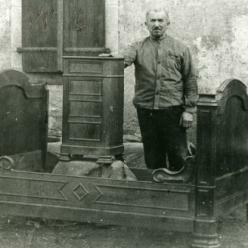 Goods drying before patina and final decoration. 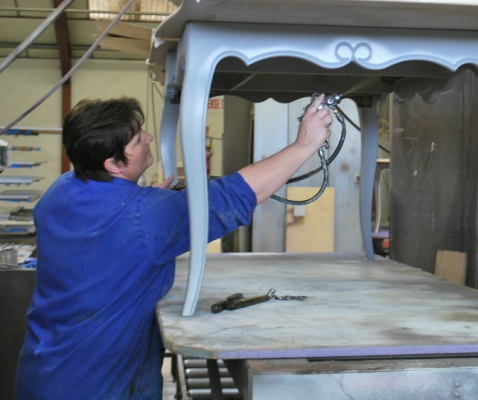 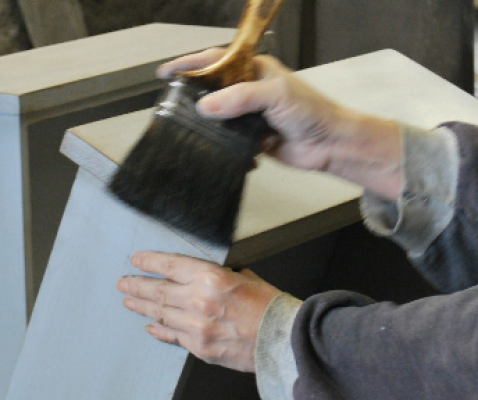 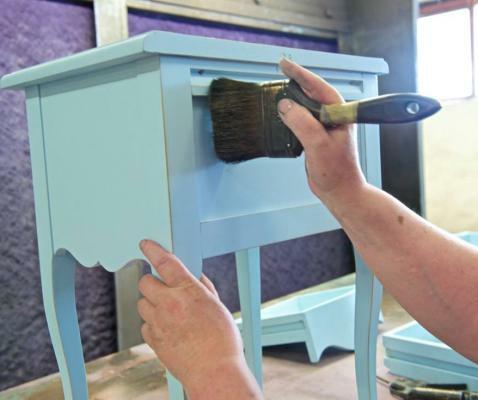 Yolande applies patina with the brush for the antic effect. 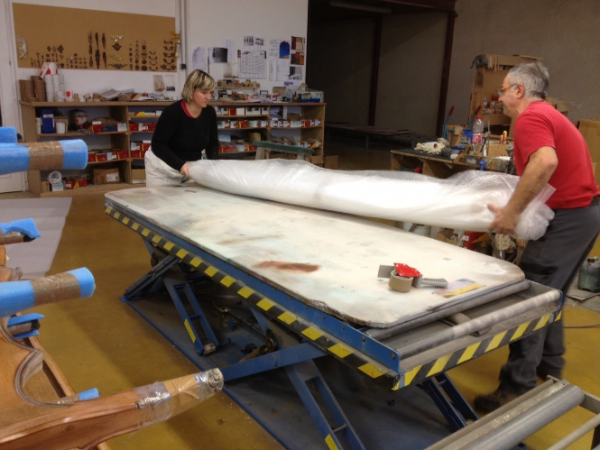 Jean Philippe and Caro wrapping goods before the shipment. 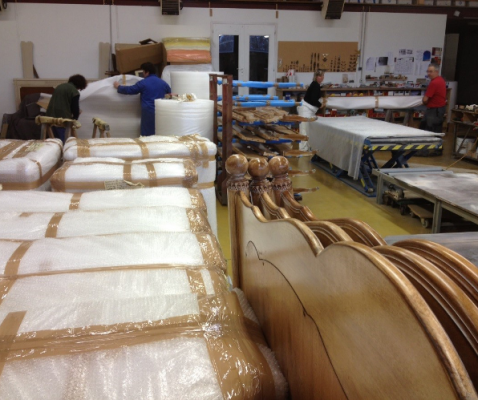 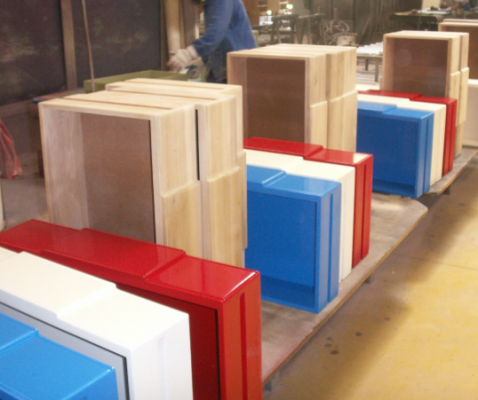 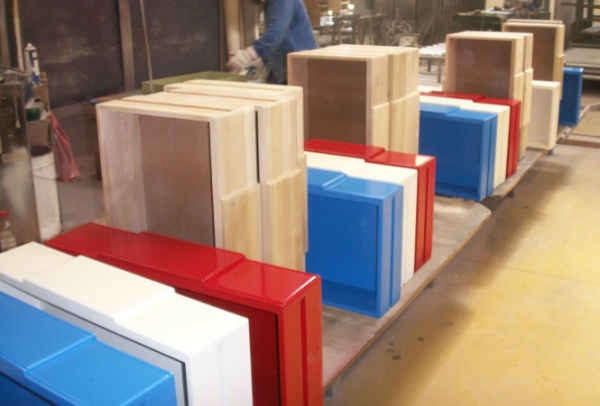 Furniture ready for shipment to our clients.